Terri Giuliano Long, author of the women’s fiction novel, In Leah’s Wake, is stopping off at Pump Up Your Book on Day 14 of her virtual book tour with Pump Up Your Book! Read her guest blog about why bestsellers are not born, they’re made, at http://www.pumpupyourbook.com/2011/12/11/guest-blogger-bestsellers-are-not-born-theyre-made-by-terri-giuliano-long/! This mesmerizing debut novel tells the tale of a contemporary American family caught in the throes of adolescent rebellion – a heartbreaking, funny, ultimately redemptive quest for love, independence, connection and grace. 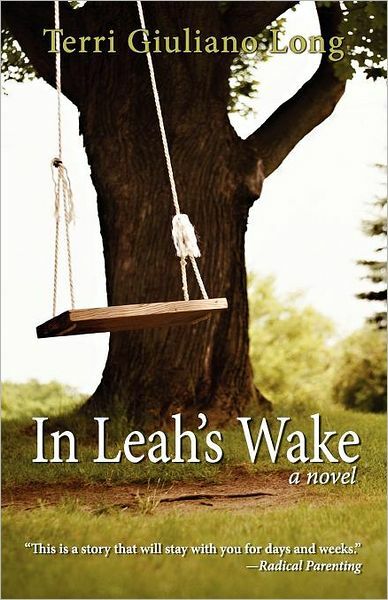 In Leah’s Wake is the 2011 BOOK BUNDLZ BOOK CLUB PICK and recipient of the Coffee Time Reviewers Recommend (CTRR) Award. This award, as selected by reviewers, recognizes outstanding writing styles in all book types and genres. You can visit Terri’s website at www.tglong.com or connect with her on Twitter at http://twitter.com/#!/tglong and Facebook at http://www.facebook.com/tglongwrites.